In this first project for this course, we’ll build a simple breakout PCB for the nRF24 board. If you have worked with the common nRF24 board, you know that its two rows of pins are not compatible with a breadboard. 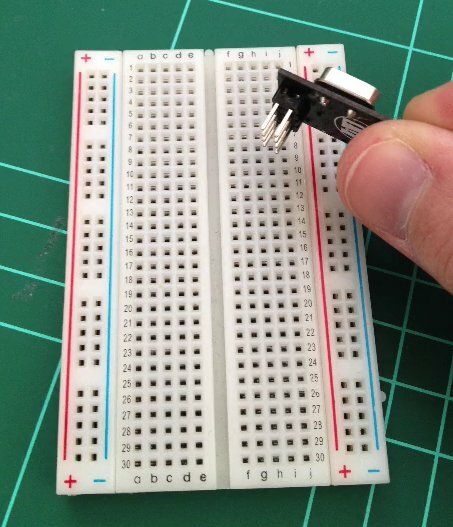 The pins of the common nRF24 breakout are not compatible with a breadboard. As a result, you have to use ribbon cable and stick jumper wires in its connector, and then stick these wires in the breadboard. I have wasted so much time dealing with a mess of wires, debugging with my multimeter that I decided it is time to deal with this problem once and for all. We will create a PCB that will make it easy to use the nRF24 breakout with a breadboard. 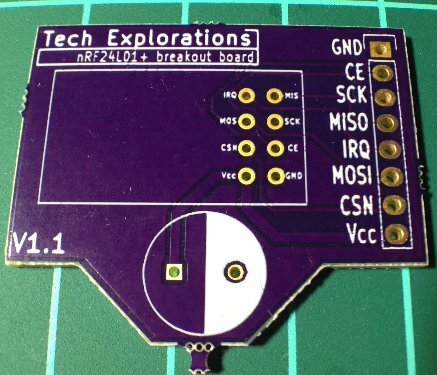 The breakout we will create in this project will allow us to escape the two rows by four pins that the nRF24 comes with into a single row of 8 pins. We will design the connector on the PCB so that it is compatible with a breadboard. This first PCB will be single-sided. In the next two projects, we will work on 2-sided PCBs. * Footprint features, like pins, pads, silkscreen borders, and labels. * How to design a PCB using the Pcbnew tool. * Several of the Pcbnew features, like edge cuts, 3D views, making wirings, copper fils, tracks, thermal reliefs, adding labels and versioning. * How to modifying the schematic and update the PCB design based on the updated schematic. * How to upload your Gerbers to a fabricator and order your PCB. There’s so much to do, so let’s get into it!